Retail Construction in Collingwood, ON | Redwood Homes Inc. Retail Construction in Collingwood, ON | Redwood Homes Inc.
We can help you complete your retail construction project in Collingwood, ON from the initial ideas to the very last detail. Growing a retail business is an exciting venture. It means drawing in new customers, helping them find exactly what they are looking for, and offering a unique experience with your company. Your design is important, and your retail construction project is the fulfillment of all of your design expectations. If you are ready to begin the retail journey or if you need a new building to house your expanding business, consider retail construction services from us at Redwood Homes Inc.
At Redwood Homes Inc., we are an award-winning home design company that services all of the Collingwood, ON area. We are working hard to bring our outstanding design services to local retail businesses like yours. You deserve an exceptional design, and your business deserves years of professional experience. We can help you complete your retail construction project from the initial ideas to the very last detail. Your satisfaction is always our #1 priority, and we back our services with years of professional experience. Our contractors and designers have turned many dream homes, offices, and retail businesses into a reality. 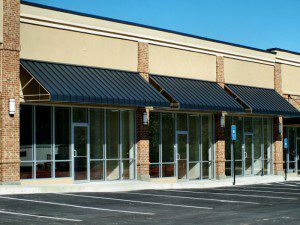 Now is the time to have the retail building that will give you a step up on the competition. We understand the importance of a reasonable budget and timeframe. We pride ourselves on honest, reliable services, and we would never expect you to settle for less than the best. Contact us today for more information on our retail construction services or to schedule your free quote. At Redwood Homes Inc., we offer retail construction services in Collingwood, Wasaga Beach, Blue Mountain, Newmarket, Orangeville, Creemore, Mulmer, Mansfield, Stayner, Thornbury, Shelburne, Barrie, Owen Sound, Meaford, Elmvale and the surrounding areas of Ontario.